Aren’t these miniature Waldorf dolls ridiculously sweet? It was my friend Annie from Brimful who pointed them out to me a year and a half ago. I obviously placed a little order — who can resist those tiny mice, bunny babies and moles? Ava has a little necklace mouse which she very often wears — how fun to carry your little buddy around with you this way, always right there for a miniature cuddle. We also have a couple of the baby bunnies which I once gifted the kids for Easter, and they regularly appear in all sorts of play setups. The dolls really are tiny (I took the photo of Casper’s mole doll above just to show you the scale of them). 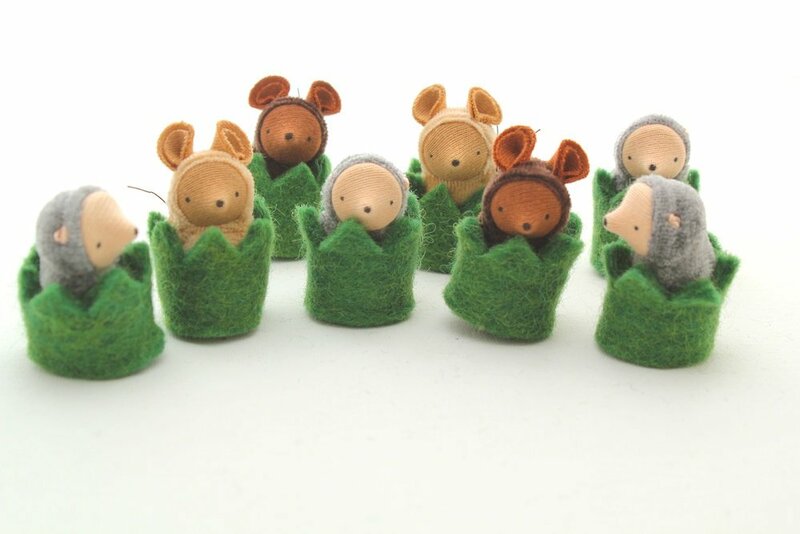 They are made from wood, cotton knit and 100% wool felt and are entirely sewn by hand. And they hold up well; even though they get played with quite a bit in our house, they are still in great shape. I actually love that they get a little worn around the nose after all the love they receive! 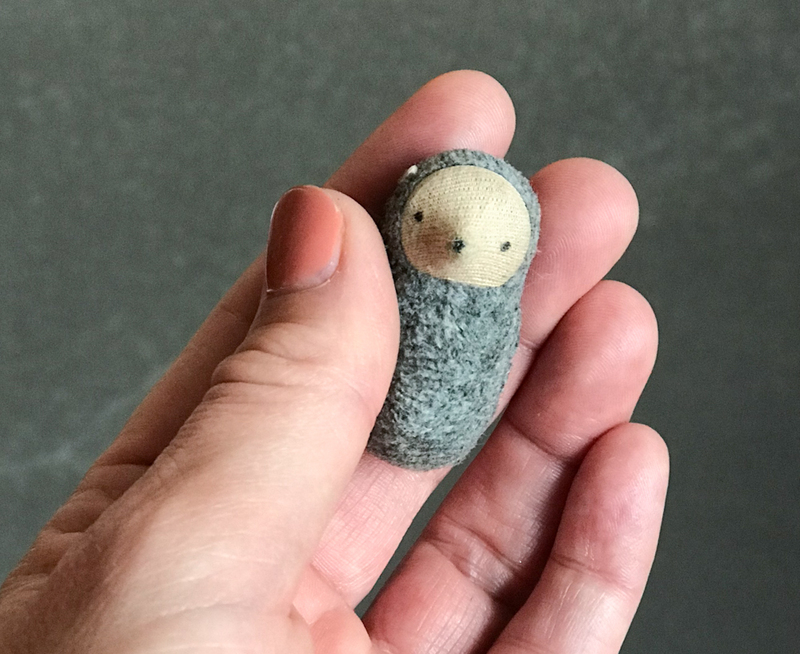 I just had another look at the Fairyshadow Etsy boutique and I now noticed felt Christmas ornaments and little swaddle peanuts which would make such sweet stocking fillers. 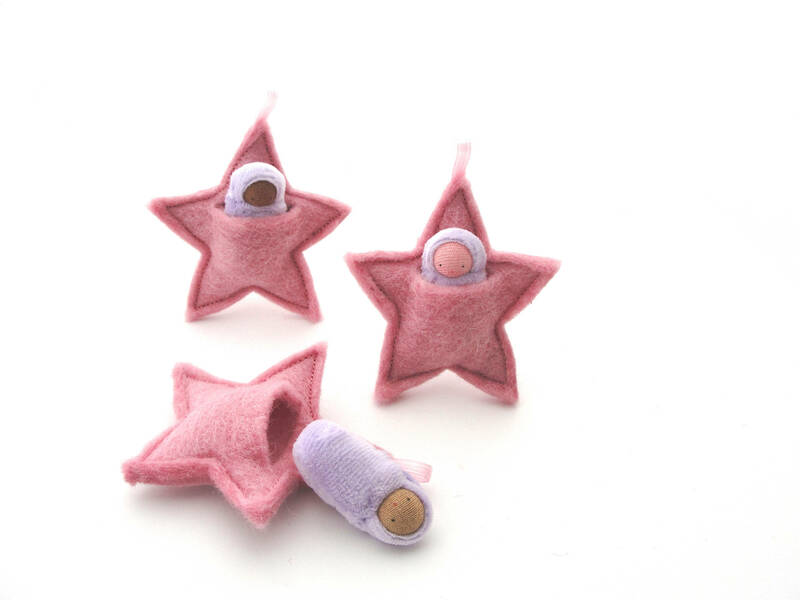 They come in a choice of skin colour and star or swaddle colours. I have gifted the mama and baby doll before as well. (I sent it to a little girl I know in Australia 😉 ). Anyway — so many lovely choices in this pretty shop. I thought you would be pleased to know about it, this time of year! Thank you for sharing our dolls with your readers!